By Jennifer McDonald | February 12, 2013. 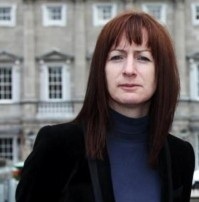 Independent TD Clare Daly has been found not guilty of drink driving following her arrest last month. Deputy Daly is to take action against the police force as she claims that they tried to tarnish her reputation when they released information of her arrest to the media. Ms Daly has issued a statement confirming that she was 33 per cent below the legal limit in tests which she took on the night of her arrest on January 28. In the statement, released on her website, she explains how she was attending a meeting in Swords and then visited family on the Southside. She says she was offered a hot whiskey before leaving her family members’ house as she had a cold. Ms Daly said she left at midnight and was unfamiliar with the area and as a result she found herself on the Ballyfermot Road in Kilmainham. She explains how she took a right turn onto South Circular Road and in doing so she made an illegal right turn. She was brought to Kilmainham Garda Station following her arrest. She is to make a formal complaint to the Garda Ombudsman as she strongly believes that she was victimised. “I believe that the Gardaí implementing road safety have a job to do and I support them” she said, however, she said she disagrees with the release of information to the media concerning her arrest. The Garda Ombudsman is investigating this case as a criminal investigation under section 98 of the Garda Síochána Act 2005.